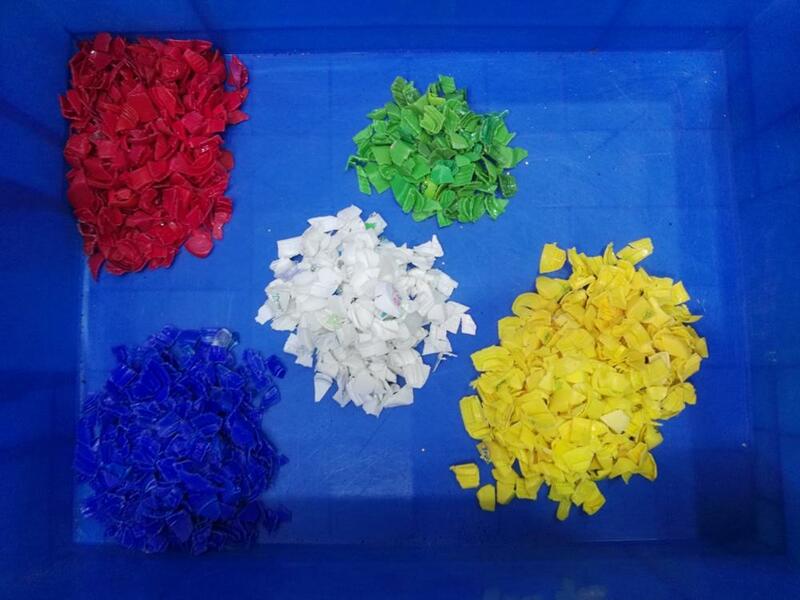 Plastic color sorter:PE, pc, pet, abs, pp, pet etc. The color sorter uses 5000+pixel high performances CCD sensors with the definition up to 0.1mm and thus is able to detect fine color differences of materials in parts. 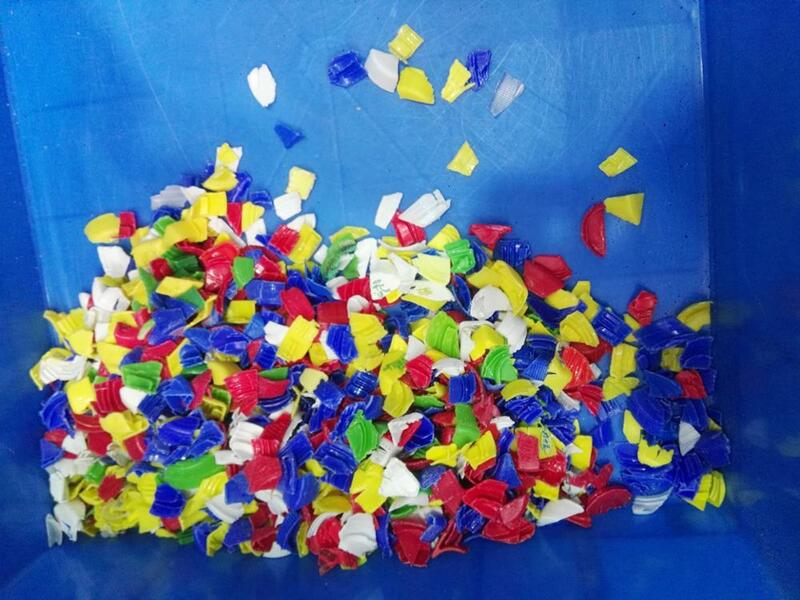 The sorter adopts high quality special industrial lenses designed and manufactured for color sorting of coarse cereals, dehydrated vegetables and plastics. The working parameters of the lenses are customized for color sorting of different materials with optimized light path design to ensure that each grain of materials can be imaged on the image sensor. 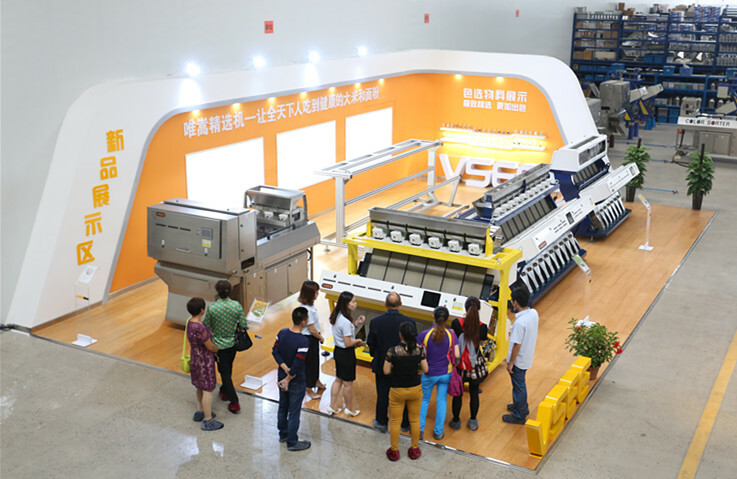 The high speed DSP technology provides the sorter with fast detection speed and high identification rate. 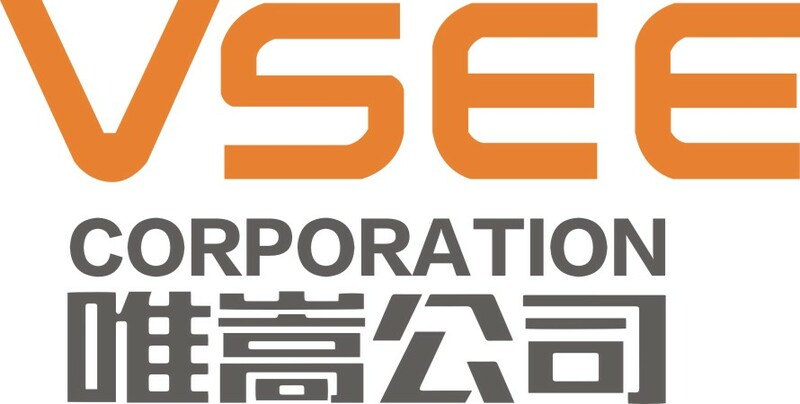 The special coarse cereal detection algorithm is designed according to the spectrum characteristics and identification characteristics and emphasizes on both sensitivity and robustness to meet requirements on fine color difference detection and increase the robustness to prevent interference by other factors on material surfaces. 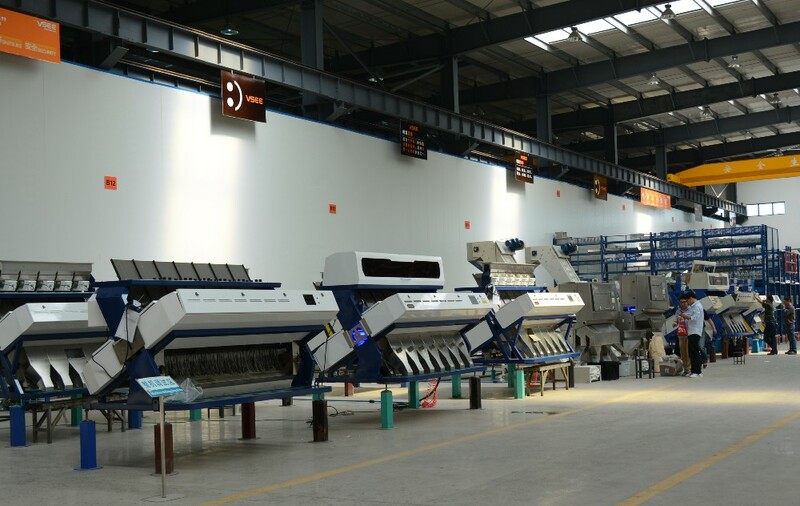 The main control system uses ARM9 high-end embedded chip to effectively increase the control speed and color sorting precision. The complete sorter applies intelligent closed-loop control. 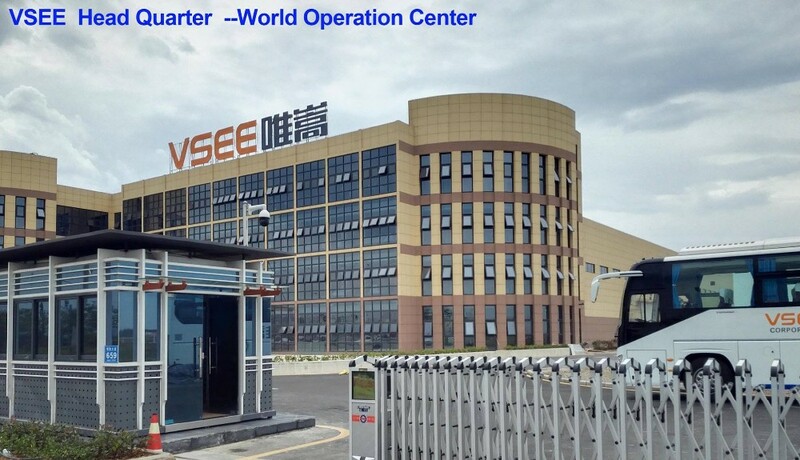 The industrial grade data bus ensures the reliability of communication and the control system and provides powerful interference resistance capability. The operation interface adopts industrial grade 10-inch capacitive contact screen and features simple parameter settings and easy operation. The color inter face provides great vividness. High speed air valve is used to ensure quick response, low power consumption and long service life. 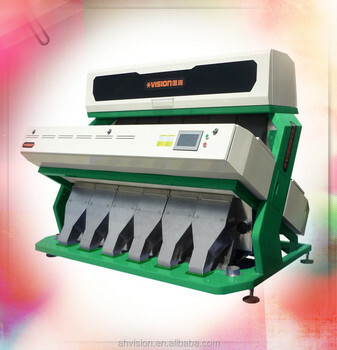 The sorter is able to provide double-side detection and has various working modes to meet requirements of various coarse cereals such as melon seeds, sunflower seeds, millets, beans, dried grapes and peanuts and dehydrated vegetables such as peppers and garlic pieces, thus has common applicability, high sorting precision and low carryover rate. The sorter uses intelligent temperature and air pressure control technology to ensure the best working state. The sorter is equipped with automatic fault alarming and the modularized structure for easy repairing and maintance. Note: The above parameters vary with types, shapes and grain sizes of raw materialand defect rate. Please consult the sales staff before buying. imaging and high image quality. The snifting valve was granted a utility model patent in 2006 with the patent number: ZL200620075811.9. for materials with different shapes to ensure high flow speed and volume and easy maintenance. 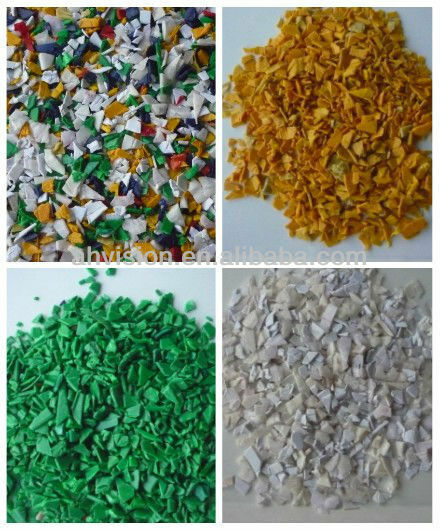 Welcome to visit and test your materials ! 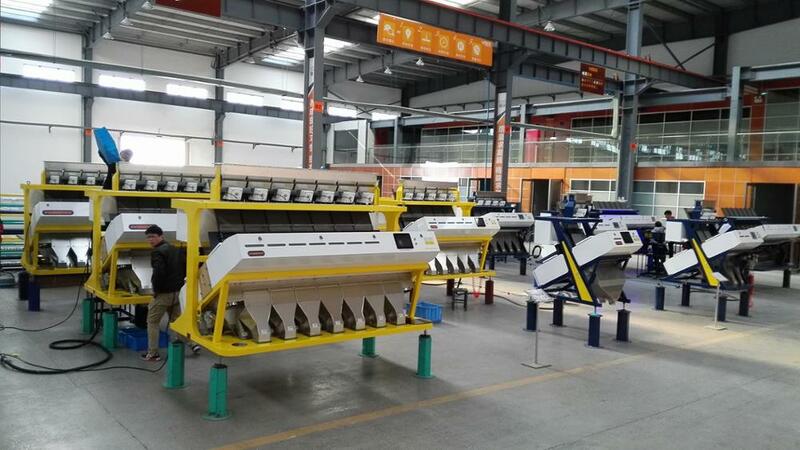 *Our main products are as follow: Rice CCD Color Sorter, Grain CCD Color Sorter, Tea CCD Color Sorter, Dehydrated Vegetable CCD Color Sorter, Coffee CCD Color Sorter, Plastic CCD Color Sorter.